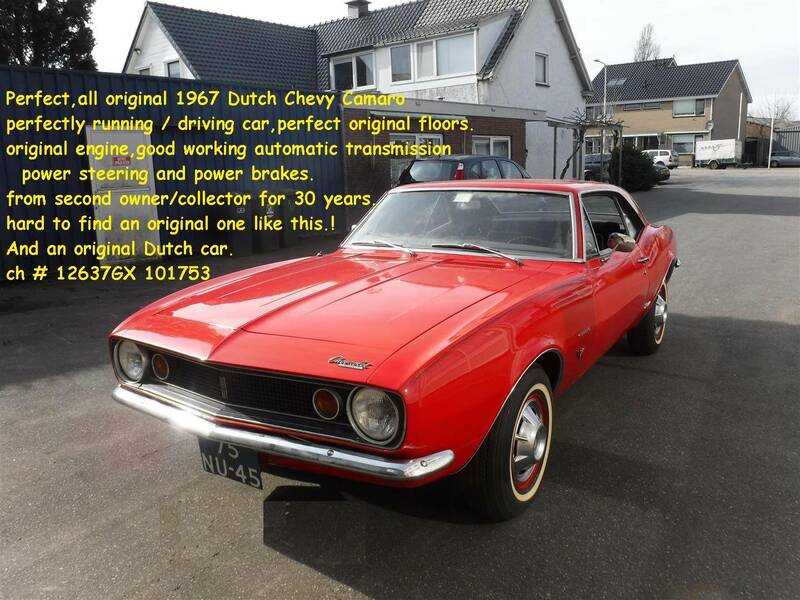 Perfect, all original 1967 dutch Chevy Camaro. Perfectly running / driving car, perfect original floors. Original engine, good working automatic transmission. With powersteering and - brakes. From second owner/ collector for 30 years. Hard to find an original like this. Original DUTCH car. Biggest choice in REAL Classic Cars in "the Stolze Collection" with more than 450 cars in stock ! From a project to perfect .